Recent years have seen a number of cargo sector 13s involved in serious accidents. 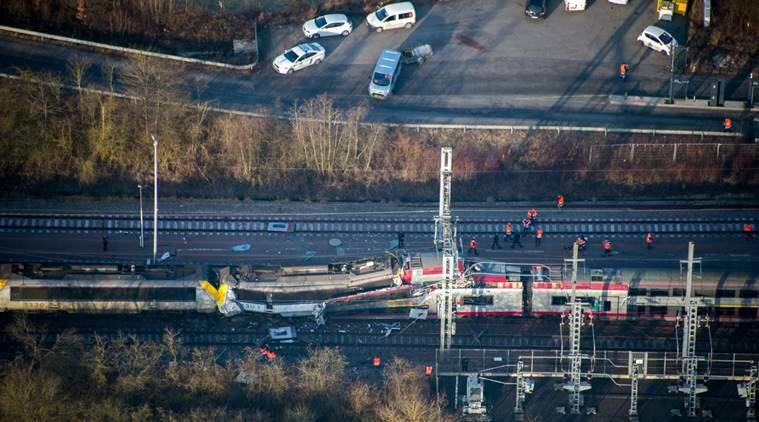 1305 was severely damaged in the early hours of 14th January 2016, when – whilst working a Strasbourg to Monceau steel train – it collided with a lorry which had ended up on the permanent way after its driver had lost control at Beuveille, between Hayange and Longuyon in northern France. The loco was written off as a result of the damage sustained and has gone for scrap. The above is a link to a news article video uploaded to YouTube by Le Républicain Lorrain, showing the extent of the damage sustained by 1305 at Beuveille. Just over a year later – on 14th February 2017 – 1309 and 1330 were horrendously damaged in a head-on collision with CFL EMU 2211 between Bettembourg and Dudelange, in Luxembourg (shocking image here). Tragically, the driver of the EMU was killed. At the time of writing (February 2018) the investigation is still ongoing, but it is thought that the “crocodile” in advance of a red signal failed, not giving the driver an audible warning of the danger aspect ahead, although it is thought that the red would have been visible to him for several hundred metres before he made his brake application. The above is a link to a video uploaded to YouTube by Nickels Alexeji showing the aftermath of the Bettembourg accident involving 1309 and 1330.